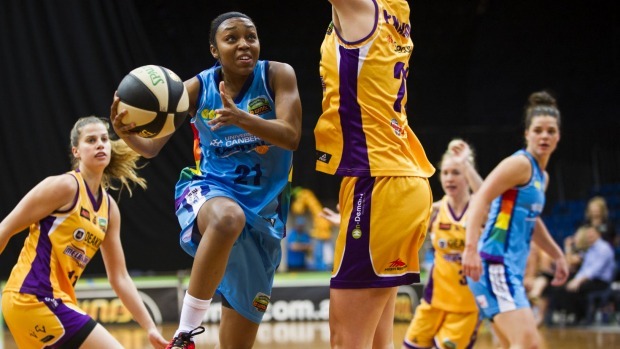 WNBA champion Renee Montgomery has finally arrived in Australia. She will be suiting up for The UC Capitals who are currently in last place in the WNBL. After having problems with obtaining her visa head coach Carrie Graf is excited about her arrival so that she can help the team bring home their first win of the season. In her debut on Saturday she scored nine points in 21 minutes of play. They took in another loss against The Melbourne Boomers. UC fans hope Montgomery can help turn the Capitals season around. She looked really good in this game with some sweet moves, give her a month to get up and going to adjust to our playing style and ref’s! I am looking forward to seeing the Caps come down to Dandenong, shh I will silently be cheering for the Huskie while of course cheering my heart out for the Rangers!